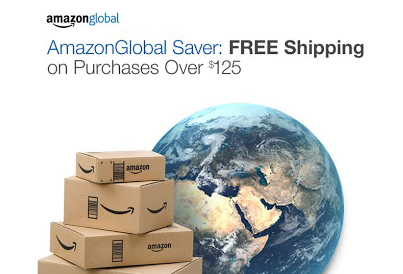 The e-commerce giant Amazon has announced this month to offer free shipping to Singapore and India, with purchase of USD$125 or above under AmazonGlobal Saver FREE Shipping program. Although this free shipping program is only applied to goods sold directly by Amazon and not their 3rd party merchants, it is still a huge product catalog available to Singapore and India customers. Imagine if Amazon offers free shipping (albeit above a certain threshold) to Malaysia, what will be the impact to local online businesses, and even offline retailers? It will be interesting to get some opinions from Christopher Quek (Chris), an avid online shopper in Singapore who has also been active in e-commerce business for many years. Why Singapore? Do you know what kind of volume Singaporeans are buying from Amazon? Chris: From what I heard, Amazon is only offering free shipping to 2 countries and that is India and Singapore. It is an irony about Singapore having a great e-commerce market as we are a small city state and everything is available at the shops less than 1km away. However, Singapore's e-commerce is due to explode to US$14-15B by 2015. That is a massive jump in market size. The SGD has strengthened significantly over the USD, GBP and EUR. This has lead to massive purchases on many online sites in the USA and Europe. Many Singaporeans are also very uptight at the high retail prices in Singapore (due to inflation, labour and rent costs on retailers). The drove to overseas purchases especially on Amazon has been significant. Here is an excerpt from my blog: "With a new 11 week old baby, we needed to get a baby bouncer to rock it to sleep. My mom-in-law saw a model at the shopping mall going at S$149. But the shocking thing is that at Amazon.com plus shipping, it only cost S$88." What kind of products Singaporeans buy from Amazon? And why? Chris: Based on what I know, many parents buy children toys, children DVDs from Amazon. The local Toys R Us costs easily 30-50% more, even after shipping costs. Kindle was another major purchase. Books are still popular despite the rise of eBooks. Besides Amazon, what other online shopping sites are popular among Singaporeans? Chris: Frankly, just too many. In Singapore alone, Reebonz (sold for S$50M to local media group Mediacorp) which sells luxury fashion shoes and bags are very popular. Clothes / shoes online like Forever21.com, NET-A-PORTER, ASOS, Shopbop, Zappos are common. Zalora is struggling hard to make inroads, but I must admit their delivery was very fast for 2 pairs of Havaianas I bought from them. To me, the reigning one which people know is q0010.sg (formerly Gmarket). This Korean online marketplace sells almost everything at much reduced prices. You have to get past the horrible packaging they give but hey the pricing is superb. I can buy a phone case for $5 where it will cost $20 at a push cart stall. Buying phone accessories are at least 50% cheaper than the local electronics store. Do you believe you can buy a second hand car online? Try sgcarmart.com. They sold themselves for S$60M to the national newspaper group. How do you think this will affect local retailers in Singapore? Both online and offline. Chris: Local offline retailers are already feeling the heat with their increased costs and competition. With Singapore becoming more prominent as a fashion capital, you see more and more fashion stores coming in to fight for a limited purchasing power. H&M, Abercrombie & Fitch and Uniqlo are just expanding so quickly with many, many stores all across the island. It is starting to look like Hong Kong. Most of these retailers survive on the tourist dollars which the region brings in due to the 2 casinos. During last Great Singapore Sale, it was estimated at some department stores that the tourists spent 40%, mainly from Malaysians, mainland Chinese and Indonesians. Kinokuniya has done excellently well to retain its loyal base of customers and they do even better because of their customer experience and properly-timed 20% storewide Kinokuniya sale, so don't see them losing out so soon. Moreover, they have just opened a large store in the heartlands of Jurong. 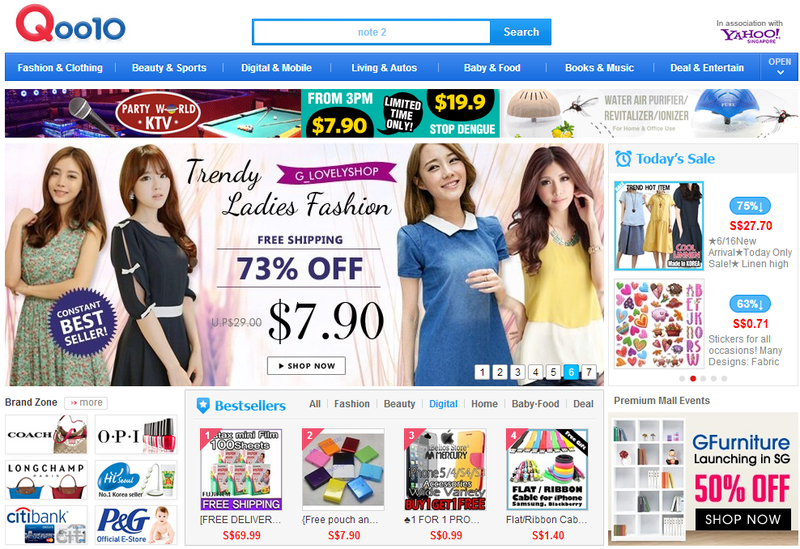 For online stores, Singapore ones have done very well to differentiate themselves. You can't get all the same items on q0010.sg and Amazon. q0010.sg offers more North Asian products. The one who might face the heat is Zalora if they continue to offer similar fashion brands to Amazon. But they may still succeed in penetrating the market with their extravagant advertising. (Zalora lost US$98M in 2012 and only sold US$68M as a group). Anything else you would like to add on e-commerce take up in Singapore? Chris: I likened Singapore becoming another Boston. Friends from Boston told me of how despite easy access to services and goods, online shopping is a boom-town there. It is about the cultural lifestyle of shopping online as a convenience plus cheaper and a variety of goods. The push towards e-commerce was created by the unreasonable high prices of retail goods in the shops, followed by significantly improved delivery experience, along with many credit cards offering up to 6% rebate if you shop online. In Singapore, the post office started vPOST, which helps Singaporeans order and ship to a USA, UK or Japan address before shipping everything over to Singapore. This has lead to a higher transaction level. Christopher Quek, an incubator from Angels Gate Advisory (AGA). AGA helps provide advisory and seed funding to interactive digital media startup companies. He previously was involved in e-commerce activities in Malaysia and Singapore. An avid online shopper who described his online shopping habits on his blog.